No substance on earth is as hotly debatedÂ as marijuana. Opponents claim itâ€™s dangerous, addictive, carcinogenic, and a gateway to serious drug abuse. Fans claim it as a wonder drug, treatingÂ cancer, anorexia, AIDS, chronic pain, glaucoma, arthritis, migraines, PTSD, and insomnia. Patients suffering from these conditions needâ€”and deserveâ€”hard facts based on medical evidence, not hysteria and superstition. In Stoned, palliative care physician Dr. David Casarett sets out to do anythingâ€”including experimenting on himselfâ€”to find evidence of marijuanaâ€™s medical potential. He smears mysterious marijuana paste on his legs and samples pot wine. He poses as a patient at a seedy California clinic and takes lessons from an artisanal hash maker. In conversations with researchers, doctors, and patients around the world he learns how marijuana worksâ€”and doesnâ€™tâ€”in the real world. 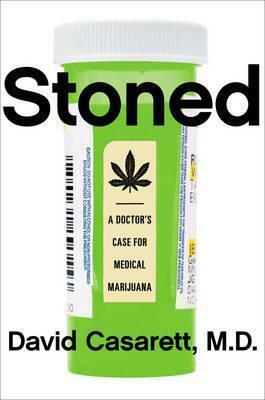 Often humorous, occasionally heartbreaking, and full of counterintuitive conclusions, Stoned offers a compassionate and much-needed medical practitionerâ€™s perspective on the potential of this misunderstood plant.